The 2019 Fullcourt Press Spring League tipped-off for Week 3 this past Sunday (March 17th) at Santiago HS (Garden Grove CA). Listed below are several of the standouts from last Sunday’s action. Powerful lefty PF has a style of game reminiscent of Julius Randle. Bradley has great mitts on the block, explodes through contact and has a better than expected face-up range that extends to the 3-point line. Had a very impressive double/double effort (24 points/21 rebound) in one of his league games last Sunday. As his motor and consistent energy improves, so will his high-major recruiting stock. Hearing recently from the likes of Washington, Oregon State, DePaul, Cal State Fullerton, UC-Davis, Montana and Cleveland State. Long, wiry and athletic WF is reclassifying to 2020 and plans to attend a prep school next Fall. Active on the glass, Ofoegbu attacks the glass with authority and has an underrated perimeter shot. 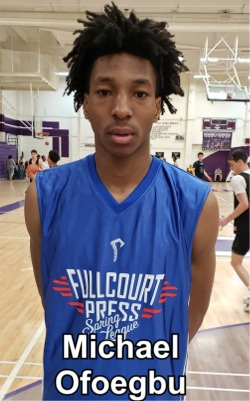 One of SoCal’s top unsigned seniors is a very good all-around guard that effects the game in multiple ways (scoring, passing, rebounding & defending). 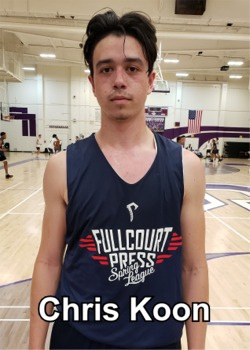 Key component of Fairfax’s 2019 LA-City CIF title and was named 2019 Western League co-MVP. Very good student had a Cal Poly offer prior to coaching change in San Luis Obispo. Strong but undersized power-forward is a force down low and is a consistent producer. Potentially a valuable, ready to play, D1 spring signee. Reminds me a lot of a physically better version of former Westchester star Scott Cutley (who had a very good career at Cal State Fulllerton). Wide-body post has made nice progress over the past two years. Oliver has a nice touch in the paint and is a very solid rebounder. 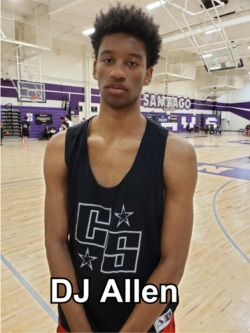 Just led his Santa Clara squad to the 2019 CIF-SS Division V-AA title and was named 2019 John Wooden CIF Division V Player of the Year. Strong WF is a high-octane scorer and underrated passer. Primed for a big spring & summer. Skilled forward with nice spot-up jump shot. Off-the-charts student (4.5 GPA/1290 SAT). Sharpshooting WG has deep range on shot. Very good student too. Athletic slashing scorer excels in fast-paced tempo. Unsigned senior sleeper with great athletic wing frame and major bounce as well. Very promising young swingman is an excellent slashing scorer with a strong build. One to track in 2021. Athletic wing defends at a high level and is quick off the bounce. Nice upside. Strong off-guard is a confident scorer. Heady combo-guard with an accurate perimeter shot. Young and savvy point guard with accurate 3-point stroke. Older brother & BM teammate Josh Vasquez has signed with Montana. Hard-working and productive lead guard competes on every play. Like his energy, attitude and work-ethic. 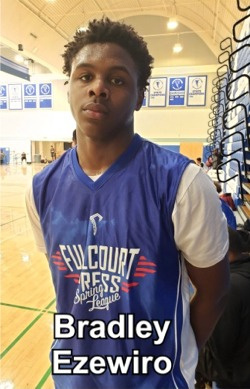 * Third of four weekly reports about the 2019 Fullcourt Press Spring League.